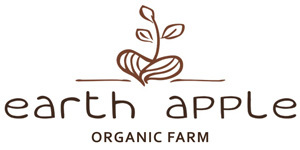 Earth Apple Organic Farm is located at Glen Valley Organic Farm Co-op in Abbotsford, BC. If you are interested in signing up for our CSA Harvest Box Program, please read the sign up instructions located on the How to Buy info page. Also, visit us weekly at Vancouver Farmers Markets every Saturday. Learn more here.